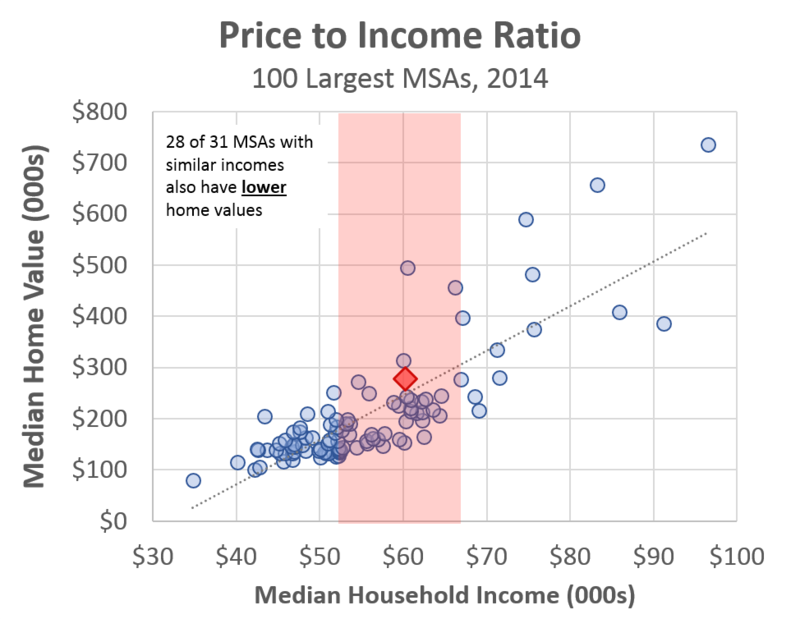 The first metric tries to gauge and compare ownership affordability across metros. 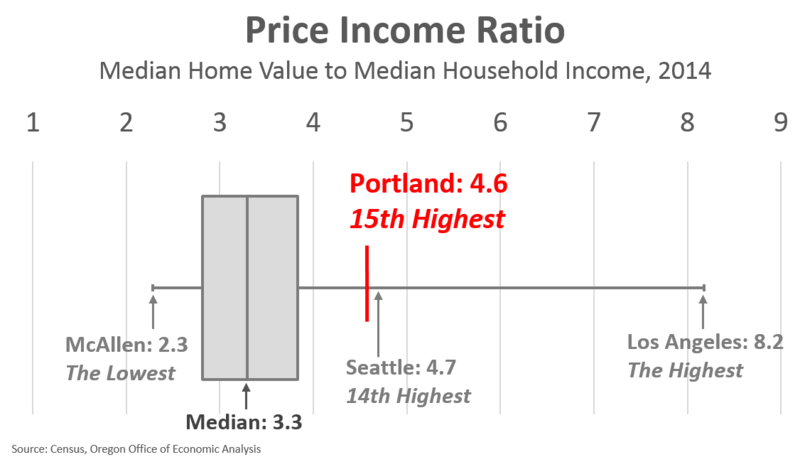 Specifically this is the ratio of median home value to median household income. 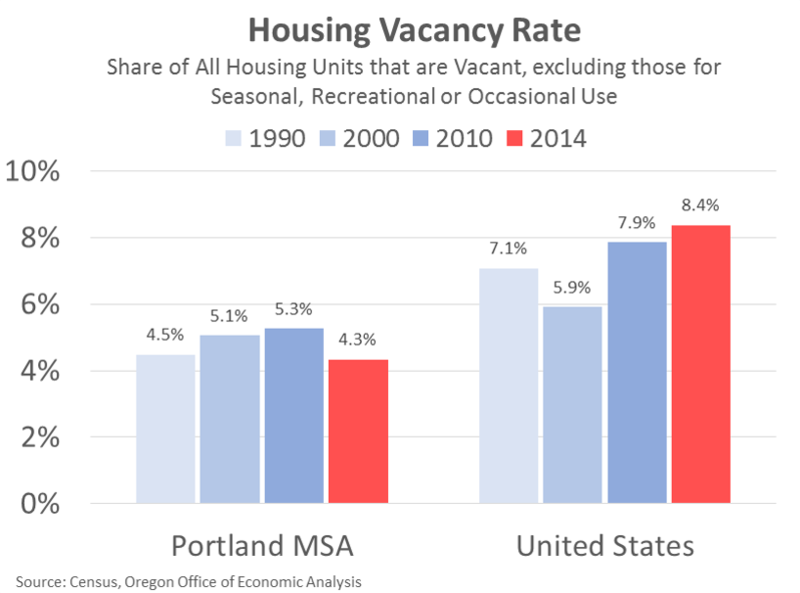 The longstanding rule of thumb for affordability is roughly 3 to 1 ratio. The median across the nation’s largest metros is 3.3. 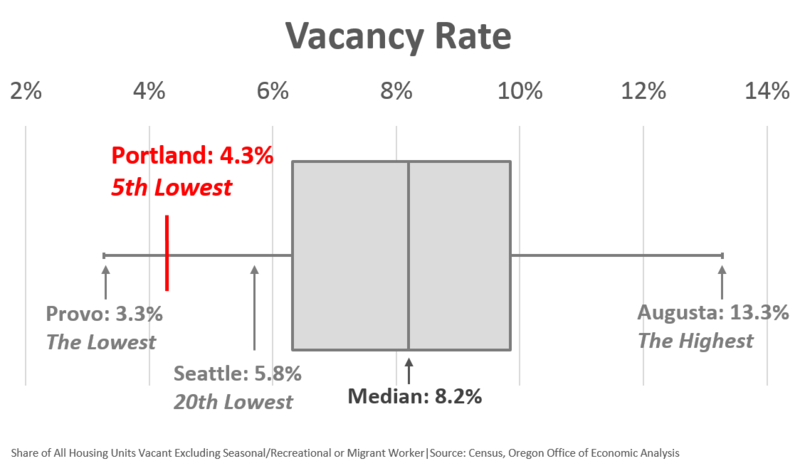 However Portland ranks 15th highest (or 86thlowest), just a notch below our neighbor to the north. 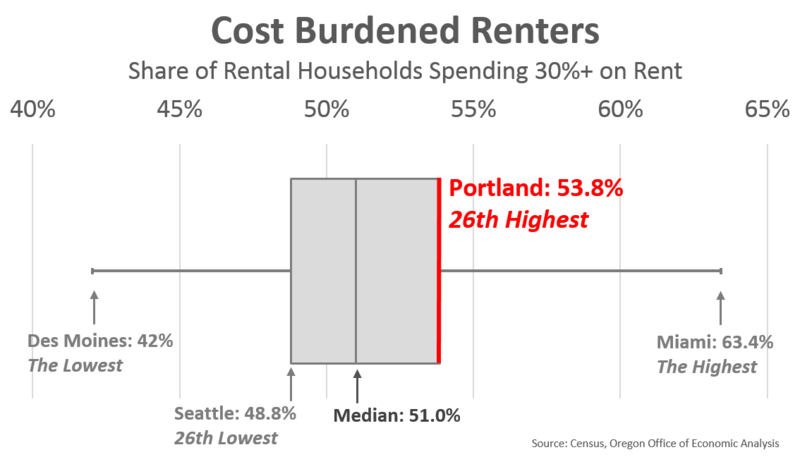 Portland is also considerably higher than the box part of the graph, or the middle 50 metros in the country.